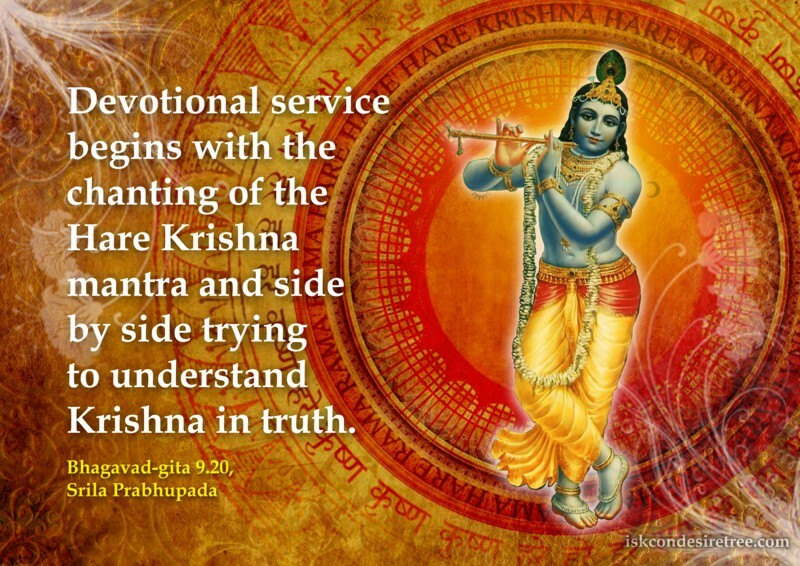 Devotional service begins with the chanting of the Hare Krishna mantra and side by side trying to understand Krishna in truth. 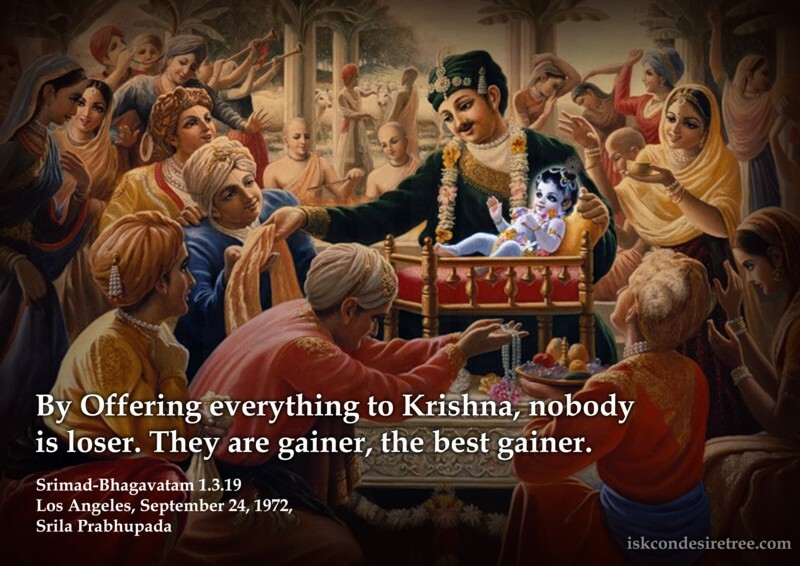 By offering everything to Krishna, nobody is loser. They are gainer, the best gainer. 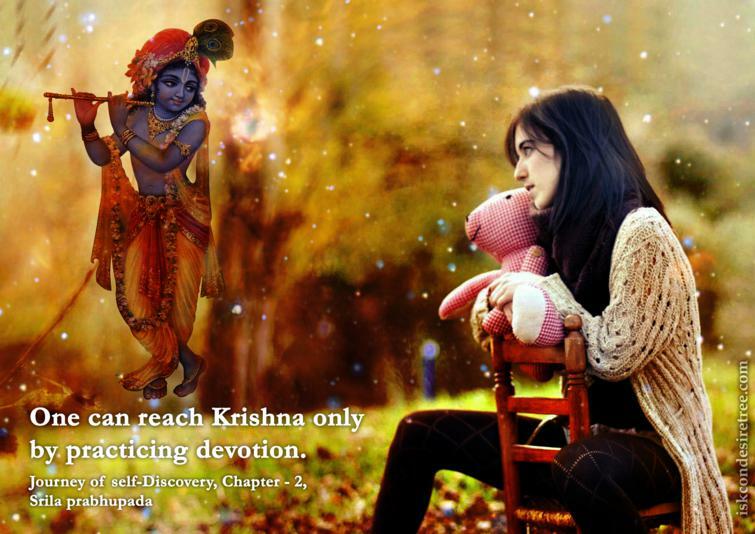 One can reach Krishna only by practicing devotion. 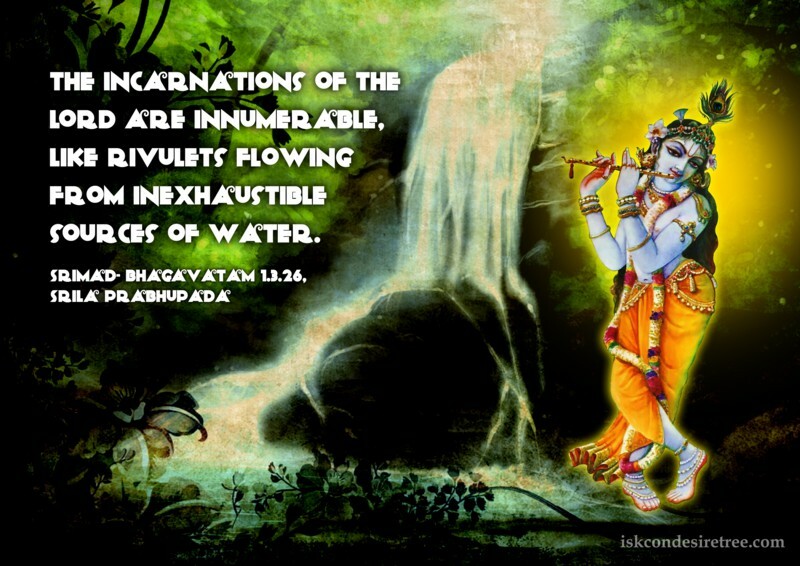 The incarnations of the Lord are innumerable, like rivulets flowing from inexhaustible sources of water. 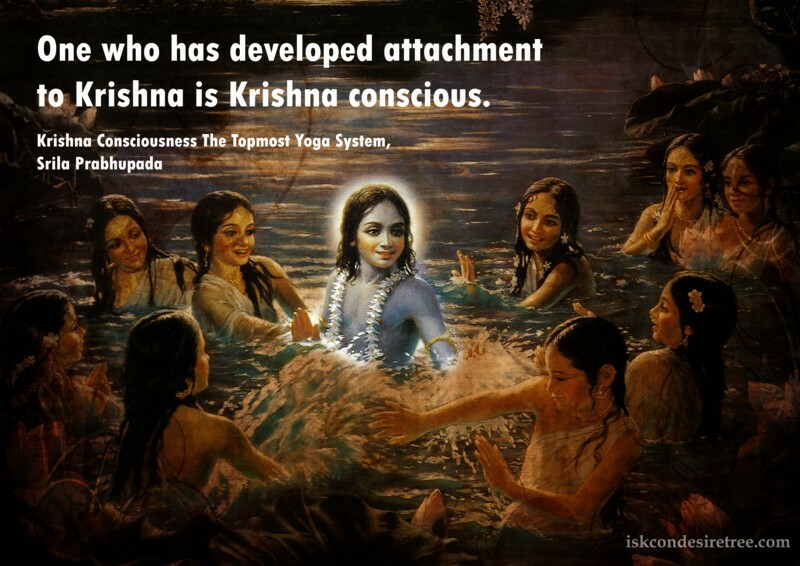 One who has developed attachment to Krishna is Krishna Conscious. 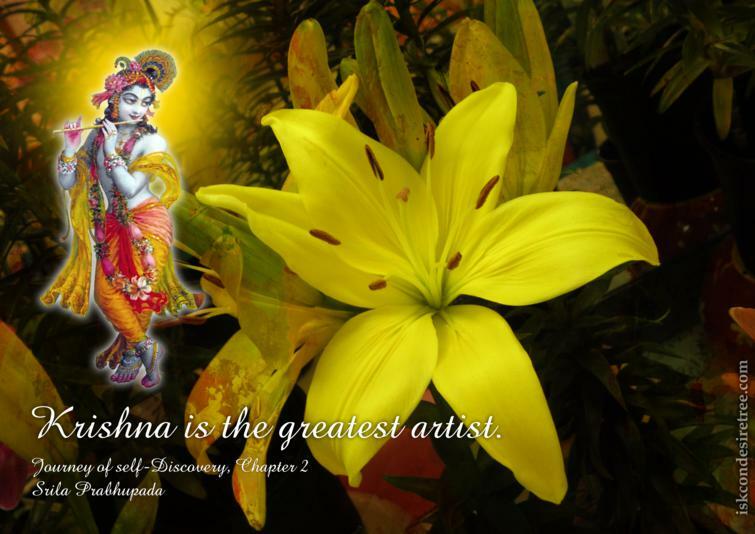 Krishna is the greatest artist.